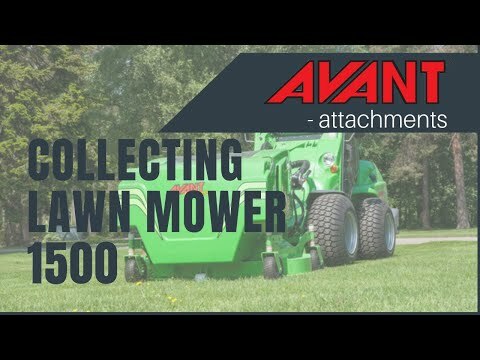 Collecting Lawn Mower 1500 - Reach It! - Move It! - Crush It! Collecting mower designed for professional use with 1500 mm cutting width and 800 liter collector box. The high suction power makes it also possible to collect tree leaves on lawns. The blades cut the grass, tree leaves etc. to a fine mulch which packs tightly into the collector box. Collector box volume is designed to be large enough for professional use also in larger areas. The box is emptied from Avant’s driver seat with an electric switch and with the help of Avant’s boom the collector can be emptied into a container, skip etc.